Yoga classes in Coleshill and Cookham with Jeff Phenix are open level and operate on a drop in basis so no need to book. If you are coming for the first time just drop me a quick email so I know to expect you and let me know if you have any medical conditions or injuries. "You bring a huge depth of yoga experience to your teaching and offer it up with humour and heart". "Despite taking up Yoga as a way of improving flexibility what I have gained from it is so much more. Your yoga classes in Cookham always brought a sense of balance to an otherwise hectic life and the reason I kept coming back was that I always felt a sense of clam and peace after each class. Every class had a great mixture of physical and mental challenge and a sense of play and fun which I really appreciated". Jeff Phenix teaches yoga classes in Cookham and yoga classes in Coleshill. 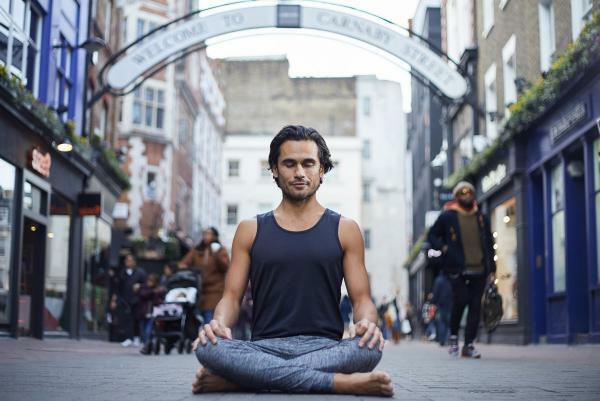 His classes are also accessible if you are looking for yoga classes in Maidenhead, Burnham, Slough, Bourne End, Wooburn Green, Flackwell Heath, yoga classes in Marlow, High Wycombe, yoga classes in Beaconsfield, yoga classes in Amersham, Gerrads Cross, and the Chalfonts.